Courtroom observation of the attorneys sets this training program in motion. Having an objective third party observe attorneys in action, in a non-threatening manner, helps provide an accurate baseline analysis of the attorney’s skill level and opportunities for increased effectiveness. Observations and areas of improvement are skillfully worked into the training presentations to explore general communication behavioral themes for attorneys, regardless of year’s experience and skill level. The following programs are suggested as a 3-part series but flexible to address client’s needs for the greatest opportunity for growth. Body Language in the Courtroom – How Non-Verbal Language Influences Courtroom decision makers. 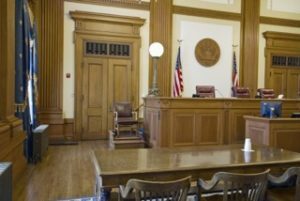 Opening and Closing: The Why and How behind Storytelling during a Jury Trial. While these programs are always customized by client’s greatest needs, attorneys have found this series to be an eye-opener on the difference that effective presentation skills in court can make on a trial outcome. After completion of Phase I, attorneys are ready to begin implementing specific tactics and techniques in a private, small group workshop that hold attorneys accountable to skill development and mastery. Lengthier observations of small group participants provide an expansive analysis that reveals individualized areas of improvement and opportunities for skill development. Need a more individualized training program? Learn more about Meg’s communication coaching and consulting services here.